QlikView is a PC based Business Intelligence software. 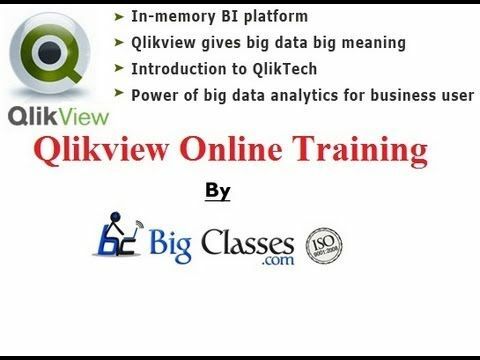 At BigClasses we provide QlikView online training by our expert trainers who have several years of real-time experience and excellent teaching talents. Our QlikView training course is designed for the learners who are eager to build their career in Business Intelligence. QlikView is the utmost flexible BI platform for transforming data into knowledge. More than 20,000 enterprises are using this business intelligence tool worldwide. Using the simplicity of this BI tool they have facilitated the users to search, analyse and combine the data for outstanding business insight. 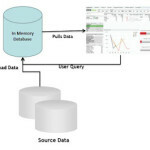 QlikView permits users to overcome unanticipated business insights by understanding how data is associated. 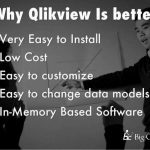 QlikView is driven by In-Memory Technology, which is virtually removing all the complexities. QlikView takes less time to install. It is very much IT efficient. QlikView Local Client is a stand-alone window, which provides developer’s ETL, end-user applications, installs and analyse insight QlikView applications. QlikView Small Business Edition Server handles all reloads, administration and RAM performance. QlikView Enterprise Edition Server allows nesting of multiple servers. QlikView Publisher is responsible for ensuring that the right information goes to the right user at right time.